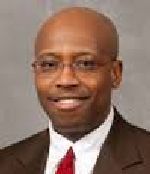 Dr. Felix Chukwudelunzu has been named the 2014 University of Wisconsin MBA Consortium Outstanding Graduate by the graduate faculty of the University of Wisconsin MBA Consortium. Chukwudelunzu, who will graduate this May, was selected from a pool of students that included graduates from August 2013, December 2013, January 2014, and May 2014. Chukwudelunzu will be recognized at the MBA Celebration Reception, Saturday May 17, 2014 in the UW-Eau Claire Davies Center Ojibwe Ballroom. The reception will begin immediately following the morning commencement ceremony. Originally from Nigeria, Dr. Chukwudelunzu is a neurologist and stroke specialist at Mayo Clinic Health System in Eau Claire where he serves as director of the Primary Stroke Clinic. UW-Eau Claire professor Dr. Kristina Bourne described Chukwudelunzu as "a model MBA student: present, engaged, analytical, and eloquent. His active participation in the class discussions drew in his classmates by offering interesting analyses and compelling questions. He is indeed an outstanding MBA student." For more information about the University of Wisconsin MBA Consortium, contact Dr. Robert Erffmeyer, MBA Consortium director. During his time in the Consortium MBA, Dr. Felix Chukwudelunzu has had faculty/instructors from all four Consortium campuses. Faculty described Chukwudelunzu as "an extremely intelligent, professional and thoughtful man, involved and concerned with not only his career and family, but also the state of the world and how to improve conditions for all." Dr. Suresh Chalasani, professor of information systems at UW-Parkside, indicated that "in classes such as Healthcare IT Management, Felix brought his clinical experience to the classroom. His work was excellent, and integrated his healthcare knowledge with IT concepts." Furthermore, "his exceptional healthcare knowledge enabled him to conduct thorough research on technological usage in the healthcare arena." Dr. William Wresch, associate dean at UW Oshkosh, agreed: "Felix was able to carry out research and combine it with vivid examples from his job and from his personal experience-a skill that made his discussion posts a highlight of the class." Chukwudelunzu, who has traveled extensively throughout Africa and Europe, enriched classes by sharing his experiences with fellow students. Dr. Gwen Achenreiner, professor of marketing at UW-La Crosse, indicated that his world knowledge "allowed him to bring added insight into a course focusing on strategic decision making through a global lens. For example, Felix brought the importance of global information sharing to life through the example of a case where the FDA was able to warn physicians about a possible link between a Multiple Sclerosis drug and a fatal brain infection that occurred in Europe."